India has become the second largest market for solar energy in the first half of 2018 beating USA with 4.9 GW of solar installations. Now India is second only to China, which kept up its record-breaking numbers of more than 24 GW of installations during the first half. However, things are looking bleaker for India as the second quarter of 2018 was one of the worst ones, with only 1.6 GW of solar power capacity getting installed. India is now facing the growth pangs in the sunrise sector as a number of problems have come to roost. While the older problem of land, transmission evacuation, policy uncertainty remain, the other problems which have cropped up is that the country is currently nearing a power surplus and states remain reluctant to sign PPAs of any kind. A new problem is that of the rupee depreciation which is adding to the cost of imported solar panels and consequently the cost of the solar power plants that are set up. The solar safeguard duty which was meant to protect the domestic solar making factories has also added up to the cost and slowdown in demand. It is expected that solar demand will remain slow as there is a 25% duty on solar panel imports for the first year which will decrease to 15% and 0% in the subsequent years. Solar developers and their power purchasing discoms have smartly decided to circumvent this duty by elongating the project commissioning to 2 years or more. This will ensure that solar developers can buy the solar modules at the fag end of the project paying lower duties. For the next one year, demand will remain tepid as projects especially the utility-scale ones are pushed out by smart industry players. The duties are enormously stupid as the size and duration do not help anybody least of all the solar manufacturers for whom this policy was meant to boost. 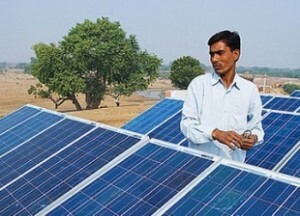 Two-year duties will not incentivize any company to get into solar manufacturing as after the end of this time period they will again be subject to severe Chinese competition, which will lead to their setup go kaput as has been seen by most of the Indian manufacturing companies in the past. The 25% duty is also not sufficiently large enough to bridge the price differences in the entire supply chain, though a handful few, such as Indian solar panel companies might benefit in the next couple of years.